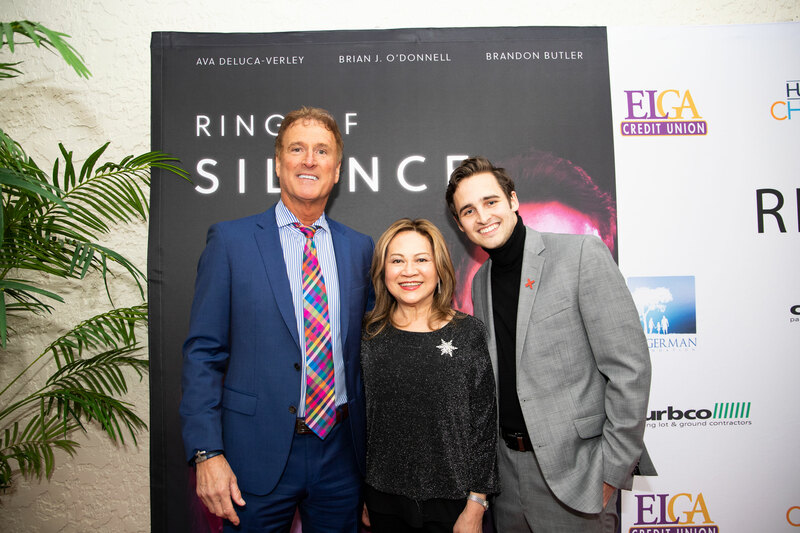 On January 16, the Capitol Theatre was filled with supportive community members attending the world premiere of “Ring of Silence” – a film with a goal much larger than entertainment. 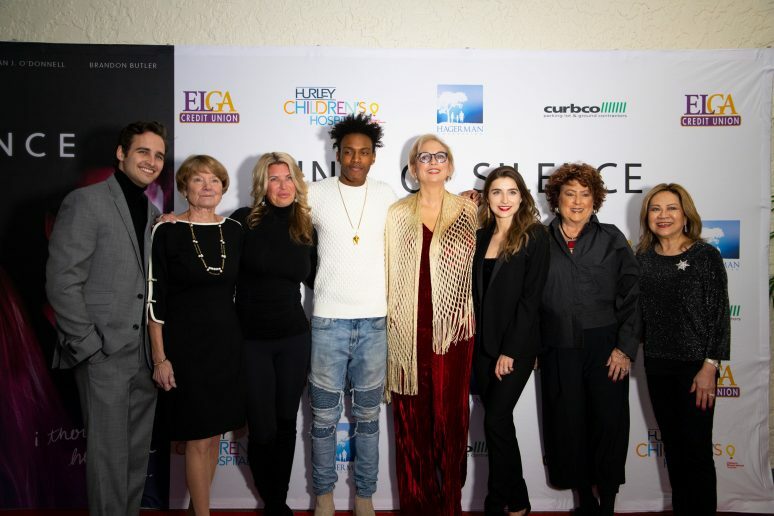 Its purpose is to become a force in the fight against the horror of human trafficking by educating the young and old alike about its reality. Human trafficking has become an industry of coercion, manipulation, greed, inhumanity and misery. It holds no empathy. It knows no racial or class bias. It shows no mercy. It is here, lurking in the shadows, and affects an estimated 27 million people and children worldwide with more than 250,000 right here in the United States. It has become an epidemic, and communities throughout the nation have begun fighting back. Here in Michigan, Genesee County is assuming a larger role in awareness and education, and “Ring of Silence” is part of it. “Ring of Silence” was created to help people identify situations in which human trafficking can occur and recognize those who have been caught in its snare. 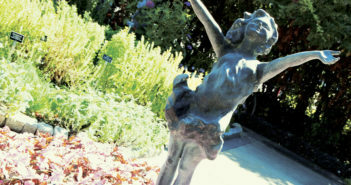 The film’s impact lies in its authenticity. The movie’s director, Nicole Bowers Wallace, Owner of NBW Films, wanted to provide a genuine depiction of human trafficking as it happens in the real world. In this, she has succeeded. To maximize authenticity, Wallace, along with writers Shannon Callsen, Wayne Ten II and Andrew Laux, crafted the story with help from the FBI and law enforcement. The writers also consulted a Teen Task Force – a group of area high school students – on character and story development with the intention of making the characters more relatable to the film’s target age group. The end result presents a strong message. Viewers of the film follow the plight of vulnerable teen, April Sharpe, as she becomes romantically involved and manipulated by a heartless young man and ultimately trapped in the seedy world of human trafficking. The cast delivers a powerful performance throughout, making the violence and despair seem all too real, evoking disgust and anger in moviegoers. The film’s emotional impact is necessary to its purpose. Voices for Children was presented with a $10,000 check on behalf of the film’s sponsors and the community. Thanks to the efforts of the Task Force and organizations such as Voices for Children, Genesee County citizens have been alerted to the threat of human trafficking. Michigan is a border state and therefore, has an increased threat of traffickers. Since 2007, there have been 1,111 confirmed cases of human trafficking in Michigan. “Ring of Silence” was a true community effort to help spread the awareness needed to end this terrible practice in the state and beyond. Contributions from businesses and individuals poured in to help complete the endeavor. Local business and organizational sponsors include: ELGA Credit Union, The Hagerman Foundation, Hurley Children’s Hospital, CurbCo, Security Credit Union, Associated Radiologists of Flint, the Junior League of Flint and others. Local individuals provided funding, housing and filming locations. They include: Andy Goggins, CEO of Northgate, who facilitated filming at their distribution center through all hours of the night; Dale Weighill opened his home to film crews, as did Steve and Rosanne Heddy; and the Genesee County Sheriff’s Department provided technical assistance and support. Area filming locations include Berston Field House, Café Rhema, Davison High School, Goodrich High School and Knights Inn in Grand Blanc. “Ring of Silence” is already a success. 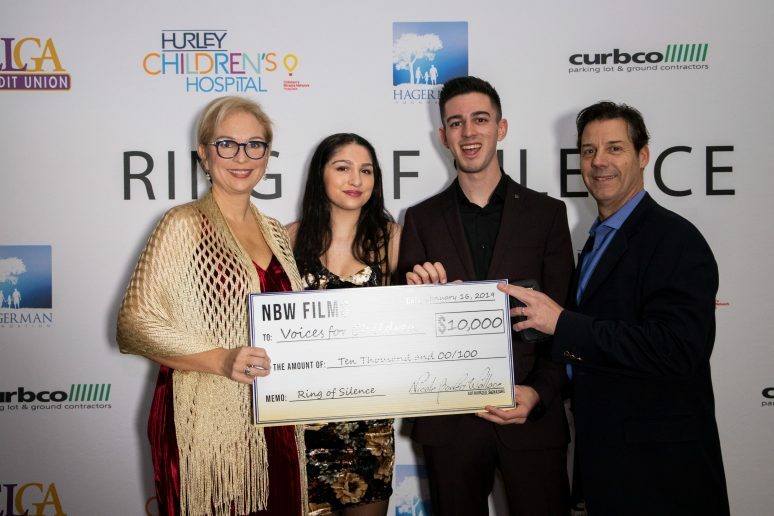 At the premiere, Voices for Children was presented with a check for $10,000 on behalf of sponsors and the community to further their programs that help victims of human trafficking, and to continue community education. Going forward, the Genesee County Task Force and Nicole Bowers Wallace will push the film and its message out to the rest of the world. Plans are in motion to get the movie in front of those who need to see it most. Wallace and Voices for Children are working to show the film at schools, where it will reach those most vulnerable to trafficking tactics. The Genesee County Human Trafficking Task Force has already created a discussion guide for parents, teachers and students that will accompany the film. Wallace also hopes to get the film distributed internationally. Human trafficking is a $150-billion-dollar industry and happens in every country, city and village around the globe. It is the world’s fastest growing criminal enterprise and the effects on those trafficked are devastating. It is hoped that “Ring of Silence” will save lives. Adults and children alike can learn from the movie and in the future, be able to recognize and avoid situations that may lead to sexual abuse – or worse. 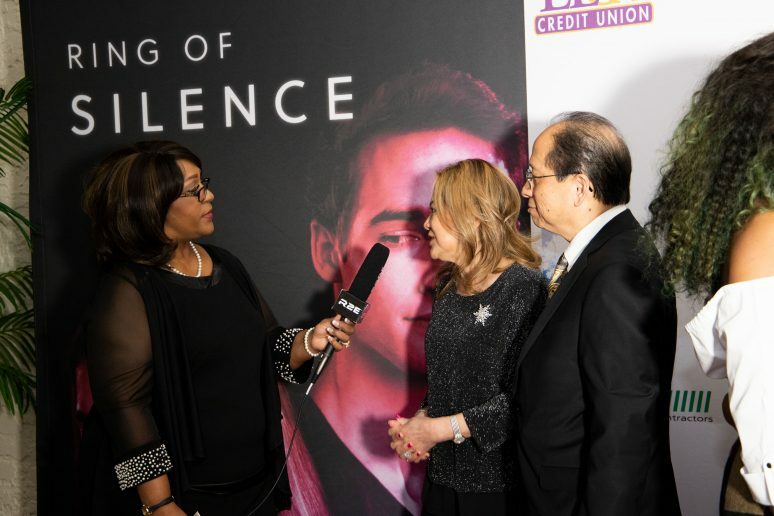 The premiere of “Ring of Silence” was the culmination of over two years of effort and commitment for Wallace, her production team and all those who contributed. It was a film that needed to be made, and it would have been hard to find a better community and team to produce it. and the home of Steve and Rosanne Heddy. There are monsters in this world, but there are also heroes – communities full of people who will stop at nothing to protect their friends, sons, daughters and neighbors. 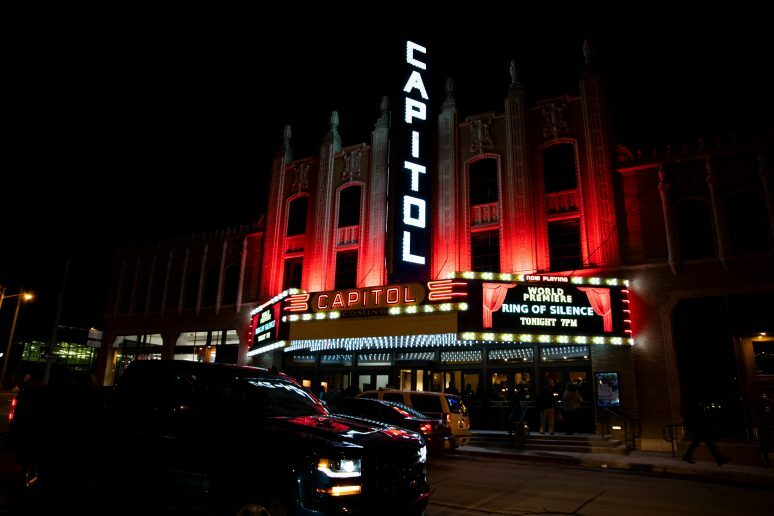 With the help of the entire Flint community, a group of five women produced a film that will contribute to awareness and prevention of human trafficking. Please take the time to talk to your children about human trafficking, the internet and especially cell phone apps created to hide dangerous behavior. If you have questions about how to speak to your child, call Voices for Children at 810.238.3333. If you suspect that someone you know may be involved in the criminal activity of human trafficking, call 911. If you or someone you know is a victim of human trafficking, call the National Hotline at 888.373.7888, or visit the Genesee County Human Trafficking Task Force online at gcohumantrafficking.org and click on the Resources tab. A member of the Genesee County Human Trafficking Task Force, Rosa Wang is well-known for her take-charge personality and ability to get things done. Wang is one of the core group of women who worked together to make the film, “Ring of Silence,” become a reality. She worked alongside Nicole Bowers Wallace, Director and Owner of NBW Films, fellow Task Force members Patti Higgins and Sue Lauber, and Kim Gray, Publisher of onthetown Magazine. All of the women are committed to raising awareness of the devastating issue of human trafficking. “In the early part of 2017, I was approached by Nicole and my friends Patti Higgins and Sue Lauber to help them do the fundraising for a human trafficking film,” Wang recalls. 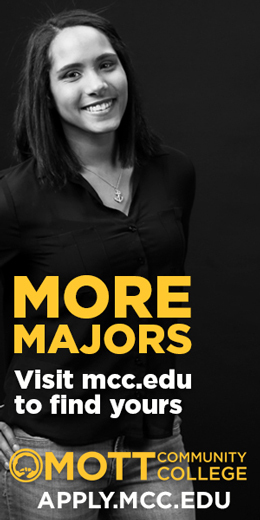 “I recruited my friend, Kim Gray, who gladly accepted my invitation to make a movie reflecting this imminent threat to our community.” The goal was to produce a film that would educate youth about the realities of human trafficking. Rosa Wang (far right) with producers and stars. 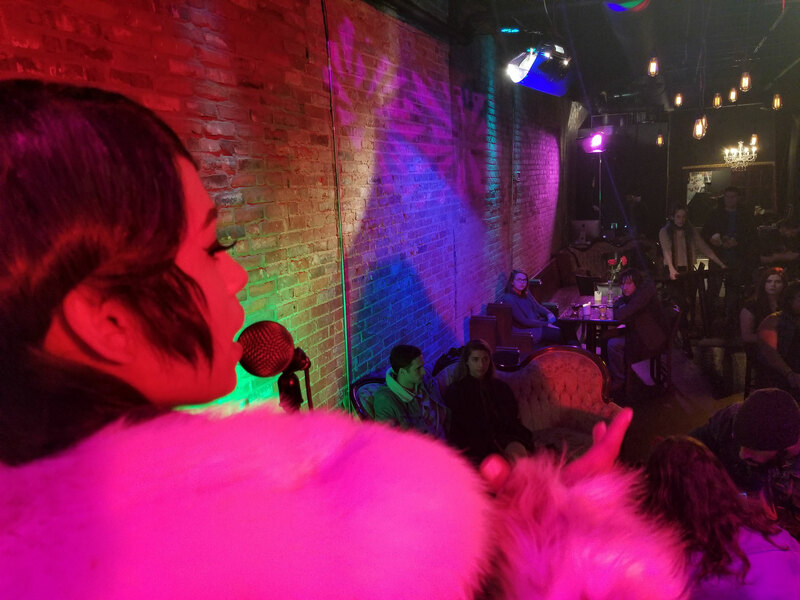 Combatting human trafficking is a cause Wang has been involved with since 2012, and raising awareness on a local level is very important to her. According to Wang, the Task Force includes community members from all walks of life. There is representation from the healthcare community, social services, law enforcement, faith-based communities, school districts, city officials and more, she explains. The Task Force meets monthly and members are committed to hosting educational training sessions at various organizations to help raise awareness of the atrocious crime. Wang is excited about the progress that has been made in Genesee County. Great strides have been gained since the formation of the Task Force. “It (Task Force) was started before people even knew that this crime was in our own backyard,” she says. Progress has been made raising awareness and in the way victims are treated by law enforcement, Wang reports. “Law enforcement protects victims instead of further victimizing them,” she states. There are now shelters in Genesee County for human trafficking victims.